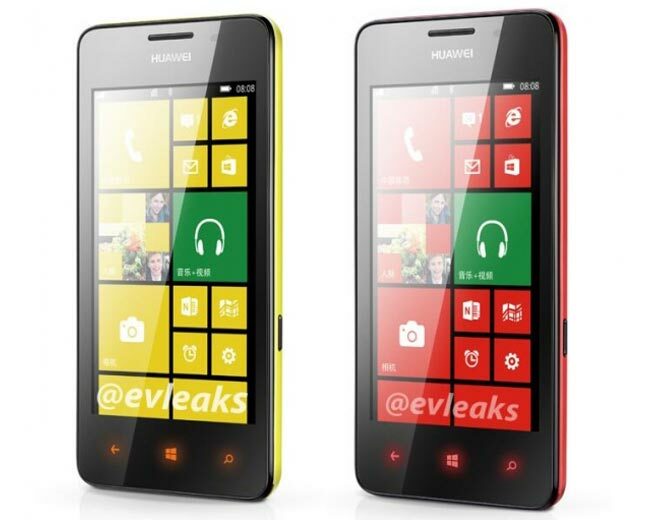 We have already seen a couple of photos of the new Windows Phone 8 smartphone from Huawei, the Huawei Ascend W2, and now we have a couple more of the device, which appear to be press shots, showing the handset in red and yellow, the photos were posted on Twitter by @evleaks. The Huawei Ascend W2 is rumored to feature a 4.3 inch HD IPS display with a resolution of 1280 x 720 pixels, plus a 1.5GHz Qualcomm Snapdragon S4 processor and will also feature 1GB of RAM, and a 2,000 mAh battery. Other rumored specifications on the Huawei Ascend W2 include n 8 megapixel camera which can record full HD video in 1080p, plus WiFi, Bluetooth and GPS, the device is expected to be announced shortly, as soon as we get some more information we will let you guys know.